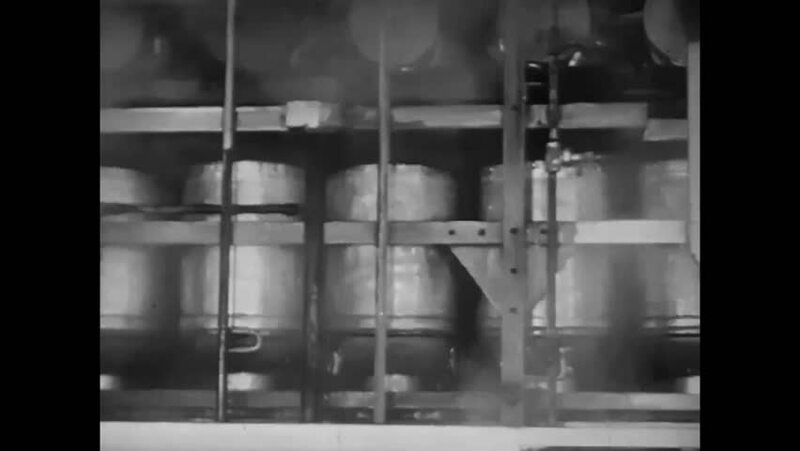 CIRCA 1920 - Milk cans are cleaned and sterilized on a conveyer belt at a dairy receiving plant. hd00:211930s: View of buildings from balcony, person exits door. Tracking shot of city street from train. hd01:04CIRCA 1940s - Trains begin to run on electricity in the 1940s. hd00:47CIRCA 1955 - Trains are advertised as being part of what makes America great.